Last year, Eesti Gaas sold nearly a third more of compressed natural gas than the year before last while the company’s sales of electricity increased by half and the sales of natural gas were a bit lower than in 2017. Eesti Gaas sold a total of 8.2 million m³ of CNG while the sales amounted to 6.5 million m³ a year before. Nearly 3.5 million m³ of compressed natural gas consumption last year was the green gas produced in Estonia. 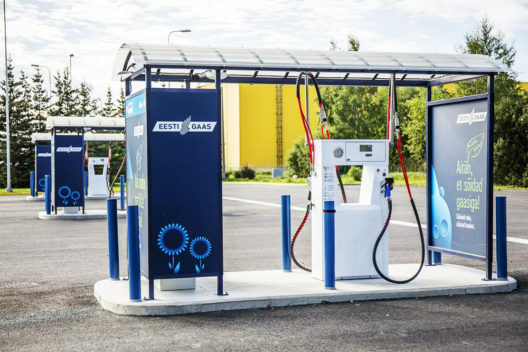 “I expect that the sales of CNG will increase further this year due to consumers’ awareness, high gasoline and diesel fuel prices and the expansion of the gas station network,” the CEO of Eesti Gaas noted, adding that the expansion of the network of gas stations to cover the whole country gives car-owners in Estonia a reasonable opportunity to change to gas-powered vehicles. Today, customers can use any of Eesti Gaas’s 11 gas station, and all of them sell domestically produced green gas as well. As far as the natural gas supplied through pipelines is concerned, Eesti Gaas sold a total of nearly 416 million m³ last year while the amount of sales a year before was 440 million m³. “Gas sales are directly related to weather. Although the last months of the year were rather cold, and the consumption of natural gas increased substantially, over the year it was still approximately five per cent lower than a year before,” Noot explained. Similarly to electricity sales, Eesti Gaas also increased it sales of liquefied natural gas. Over the year, the company supplied 16,000 tonnes of LNG and has just celebrated the 1,500th time it bunkered Tallink’s ferry “Megastar”. “We are now the sole bunker supplier for “Megastar”, and we are making effort to acquire new LNG clients, so the growing trend in LNG sales is expected to continue,” the CEO of Eesti Gaas said.